With unemployment hovering around 10.5 percent in Rhode Island, I traveled to the Ocean State in early April to attend the opening of the New England Saltwater Fishing Show, the largest in the region. Given the difficult economy in the state, I wanted to gauge the crowd and the buying mood, and I wanted to apply some old-fashioned reporting to the cliché that anglers tend to "hang in there" better than other segments during tough times. First some good news: Attendance at the show was up. Although organizers were still waiting for the final numbers from the Rhode Island Convention Center, early turnstile data indicated small increases for the first two days and a jump of 14 percent on Sunday, April 5, the last day of the three-day show, which is now in its sixth year. "We were crossing our fingers it wouldn&apos;t go down," says a relieved Steve Medeiros, president of Rhode Island Saltwater Anglers Association, the group that owns and produces the show. Last year the show had nearly 12,000 visitors. Medeiros then made an observation I heard repeated frequently in Providence, with only slight variations. "When things are bad," says Medeiros, "you still need the escape of going fishing." When the doors opened Friday afternoon, a flood of anglers swept down the exhibitor rows. I quickly found myself interviewing Capt. 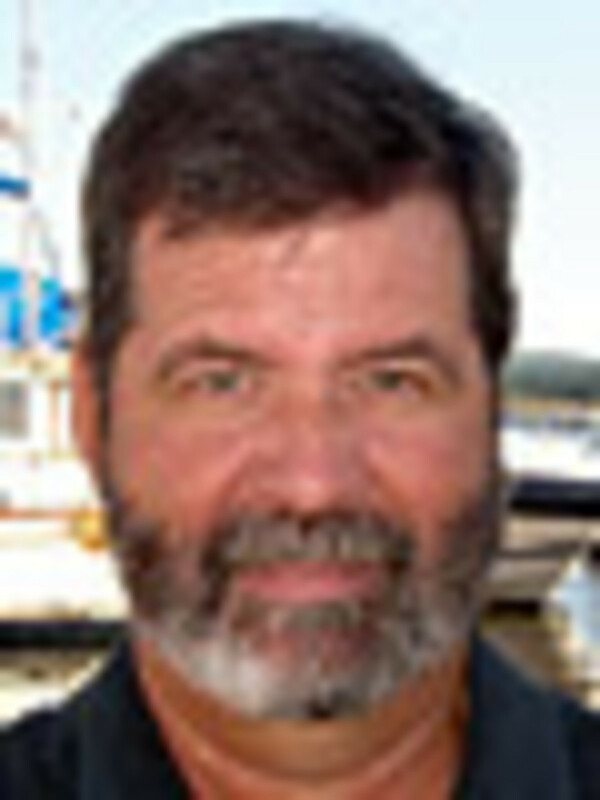 Rick Cataldi, who runs Seaward Boatworks in Warwick, R.I., a boat repair and restoration company that does aluminum and steel fabrication and sells used boats. "This is a phenomenal opening," says Cataldi, who operates sportfishing charters, as well. "When you look down the aisles and all you see are heads, it&apos;s a good opening. This is busy." In this down market, Cataldi says people are holding on to their boats longer and doing upgrades rather than buying new. As a result, he says his five-person shop has been busy all winter with refit work. "Seven days a week," Cataldi says. Two captains representing the Rhode Island Party and Charter Boat Association talked about how "die-hard" fishermen typically are the last to forgo or back out of a trip. "I&apos;ve been getting phone calls and e-mails from what I call my &apos;psycho&apos; customers," reports Capt. Rick Bellavance, vice president of the association. "I&apos;m more concerned about my last-minute bookings." The show wasn&apos;t an hour old when Bellavance and association president Capt. John Rainone pointed to attendees walking down the aisles with rods and reels they&apos;d just purchased. "This is like a big tackle shop to them," Bellavance says. The economy notwithstanding, there clearly were buyers in Providence. "They opened the door Friday, and we sold three wire [rod and reel] combos in the first 20 minutes," says Al Conti, who runs Snug Harbor Marina in Wakefield, R.I., which operates a large tackle shop in addition to selling fuel, bait and ice, and buying fish from commercial anglers. "This year&apos;s show was 30 percent over last year&apos;s. By Saturday night, we had already done what we had the year before." Conti and others say the scheduling of the event, coming just as the season is about to begin, couldn&apos;t be better. "The timing is perfect," he says. "The people are anxious. They&apos;re ready to go." Through good times and bad, Conti says committed anglers are going to fish. They might go less often or stay inshore when fuel prices are high. They might "team up" with others, as they did last year, to cut the costs of running offshore. But they&apos;re going to fish. "It&apos;s not a passing fancy," Conti says. "You do it. It&apos;s a part of life." Aluminum boat and outboard dealer Rick Walmsley says dyed-in-the-wool anglers are the last to turn their back on boats and fishing. "The pleasure guys are about the first to go," says Walmsley, who runs Walmsley Marine in Warren, R.I. "But the fishermen always seem to find a way to sneak out. They won&apos;t give it up. It&apos;s in their blood." This was my take-away from the show: Serious anglers are going to continue to fish, even if they have to scale back or make other sacrifices. They might not be in the market at the moment for a new boat or even a used one, but they&apos;re not going to disappear. At the very least, they&apos;re still buying equipment, fuel, bait and so forth. Their passion for the sport makes them a resilient segment of the industry. And I heard the phrases "cabin fever," "ready to go," and "champing at the bit" enough to believe this is a group for whom you could apply the term "pent-up demand" without exaggeration. When conditions do finally turn around, expect good things from this quarter. "They&apos;re the first guys in in the spring," says Tom Materne, the service manager at Striper Marina, a full-service marina and boat dealer in Barrington, R.I., and an exhibitor. "And they&apos;re the last guys out in the fall."